I love this appealing, engaging and dynamic set of twelve exercises that ingeniously deploy the breath to dissolve depression. Amy Weintraub provides the listener with incentive and energy with her terrific presence, voice, clarity and authenticity.. a perfect antidote for the blahs and the blues. 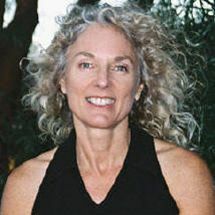 Amy Weintraub, MFA, RYT, author of Yoga for Depression, is founding director of the LifeForce Yoga Healing Institute, and a senior Kripalu yoga teacher and workshop leader. She contributes to Yoga Journal and Psychology Today.